Ernesto Natali Lombardi was born on April 6, 1908 in Oakland, California. He earned the nickname “Snozz” due to his big nose along with a handful of other monikers; “Lumbago” “Bocci” & “The Cyrano of the Iron Mask”. 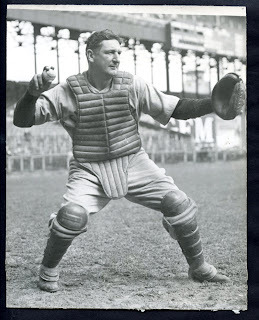 The big six foot three, 230 pound catcher was a large man, especially for players of that era. He began his career with the Oakland Oaks of the Pacific Coast League. There he got noticed by the Brooklyn Robins signing a deal with them in the late twenties. He made his MLB debut with Brooklyn in 1931 batting .297 in 93 games behind Hall of Fame catcher Al Lopez. In Spring 1932, the Dodgers had too many catchers, they actually thought about converting Lombardi to a pitcher, due to his strong arm. That didn't work out, so Lombardi, along with Wally Gilbert, & Babe Herman went to the Cincinnati Reds in exchange for Tony Cuccinello, Joe Stripp and Clyde Sukeforth. Lombardi became a fan favorite in Cincinnati, batting over .300 five straight seasons, including a league leading .342 in 1938. That season he won the MVP Award as well, driving in a career high 95 runs (7th in the NL) & a career best 30 doubles. He also hit 19 HRs (7th in the NL) with a .391 on base % (8th in the NL) and only struck out 14 times in 489 at bats. Behind the plate he threw out a league leading 59% of base runners trying to steal, 31 runners in all (second most in the league). He was the Reds catcher behind the plate when Johnny Vander Meer threw record back to back no hitters that same season. 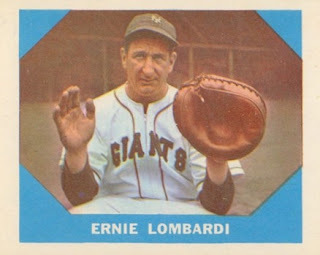 Lombardi was a good contact hitter, who very rarely struck out. The most strike outs he ever had in one season was twenty five. In 5855 career at bats, he only struck out an incredible 262 times. Lombardi led the Reds to back to back pennants in 1939 & 1940. In the 1939 season he hit a career high 20 HRs (5th in the NL) with 85 RBIs (8th in the NL) a .342 on base % & 26 doubles while batting .287. In the top of the 10th inning in Game #4 of the 1939 World Series, he was leveled on a play at the plate, by the huge Charlie Keller. Lombardi laid unconscious at home, as Joe DiMaggio raced around the bases to score the third run of the play. The play later became known as “The Big Snooze”. The Reds were swept in that series with Lombardi hitting just .214, with three hits & two RBIs. In 1940 he raised his average up to .319 which was second best in the league. He played in just 109 games hitting 14 HRs with 22 doubles, a .382 on base % & 74 RBIs. That year he played in his fifth of seven All Star games & came in ninth in the MVP voting. He threw out 49% of base runners trying to steal & posted the league's second best fielding % (.989%). Post Season: In the 1940 World Series he played in just two games due to an injury. 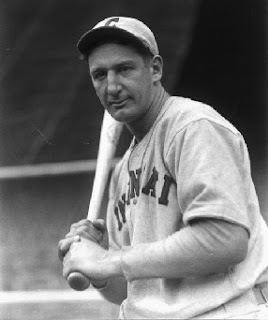 He hit .333 (1-3) as the Reds won the World championship, beating the Detroit Tigers in seven games. 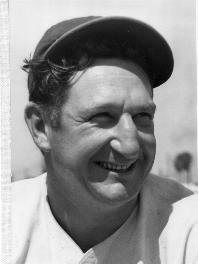 He missed winning another batting title in the 1940 season, coming in second with his .319 average. In 1942 his contract was purchased by the Boston Braves. That year he went on to win his second batting crown, batting .332 posting a .392 on base % (4th in the NL) while hitting 19 HRs (11th in the NL) with 30 doubles & 94 RBIs. The next time a catcher would win a batting title would be the Minnesota Twins Joe Mauer in 2006. They are the only two catchers ever to accomplish the feat. Lomabrdi came to the New York Giants in 1943 in the twilight of his career, where he would play for five seasons. 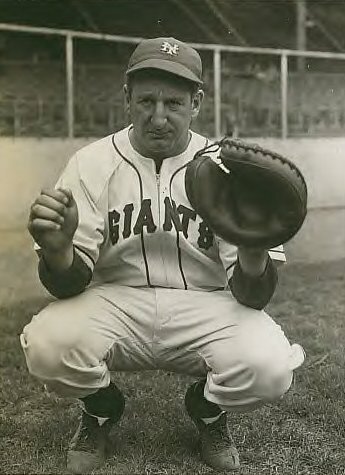 He was the Giants main catcher from 1943-1945 during a low period where the Giants never finished better than fifth place. 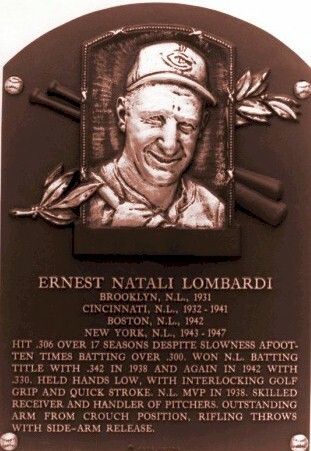 Lombardi hit .305 in his first year at New York's Polo Grounds with 10 HRs seven doubles & 58 RBIs playing in 104 games. In 1944 he fell to hit just .255 the lowest average he had in his entire career. He rebounded in 1945 to hit .307 in 115 games, hitting 19 HRs with 70 RBIs all totals second to Hall of Fame team mate Mel Ott. At 36 years old he threw out 52% of runners trying to steal, best in the league, which totaled 25 runners (3rd in the NL). He posted a .983 fielding % making eight errors with a league leading nine passed balls. In 1946 he was no longer the teams main catcher, at age 37 he backed up Walker Cooper for two seasons before being released in 1947. The one thing old “Snozz” lacked was speed. He is considered one of the slowest runners ever to play the game. He led the league in grounding into double plays four times & was in the top three in that category three other times. He is 20th all time in that category, grounding into 261 double plays, and averaged a double play ball every 25 at bats in his career, worst all time. An opposing manager once jokingly said that Lombardi was so slow, "he ran like he was carrying a piano — and the man who was tuning it. " 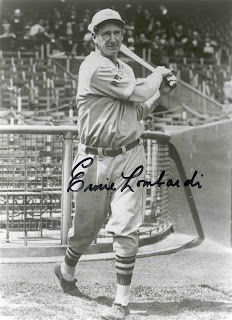 Retirement: In his career Lombardi would hit over .300 ten times, winning the two batting titles. He made eight All Star teams, and was considered one of the best catchers & players of his day. 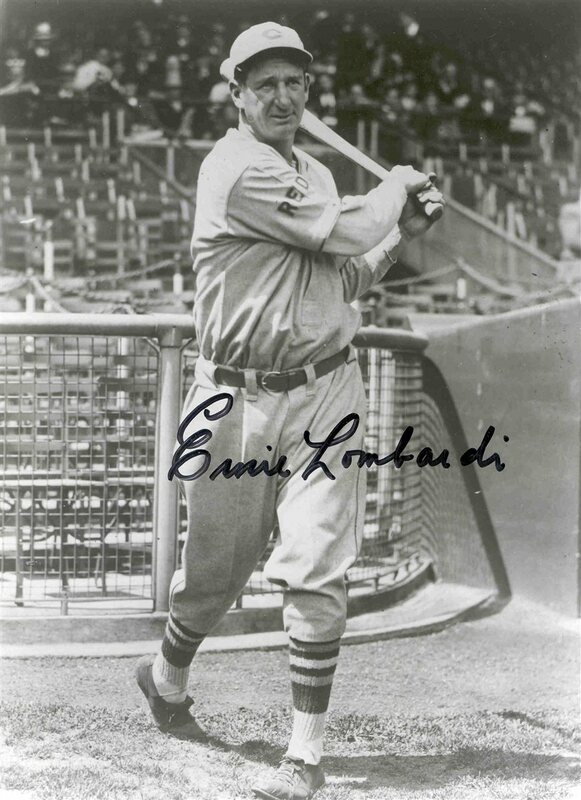 In his 17 year career, Lombardi hit .306 (143rd all time) with 1792 hits, 277 doubles, 27 triples, 190 HRs, 990 RBIs 430 walks and a .358 on base percentage. He had an incredible throwing arm, in his first nine seasons he threw out over 43% of would be base stealers every season. He threw out 50% of higher twice in his career, leading the NL both times in that category. He posed a .979 fielding percentage, committing 143 errors in 1544 (79th most all time) leading the league in that category four times. He allowed 152 passed balls (60th most all time) leading the league in that category seven straight years, nine times overall. Honors: Lombardi was elected to the Baseball Hall of Fame in 1986, by the Veterans committee. 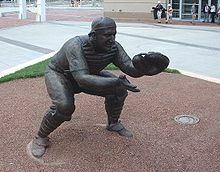 He was also elected to the Cincinnati Reds Hall of Fame & has a bronze statue depicting him outside the Great American Ballpark. Lombardi is also in the Italian American Hall of Fame & San Francisco Bay Area Hall of Fame. Troubles: Sadly in 1953 after years of battling depression, he was convinced by his wife to enter an asylum. Overnight he attempted to commit suicide by slicing his throat with a razor. Luckily he was saved & recovered completely. Years earlier his team mate & backup catcher with the Reds, Willard Hershberger also slit his throat but wasn’t lucky enough to be saved. Hershberger is the only MLB player to ever commit suicide while still active. Passing: Ernie Lombardi passed away in Santa Cruz, California in 1977 at age 69. 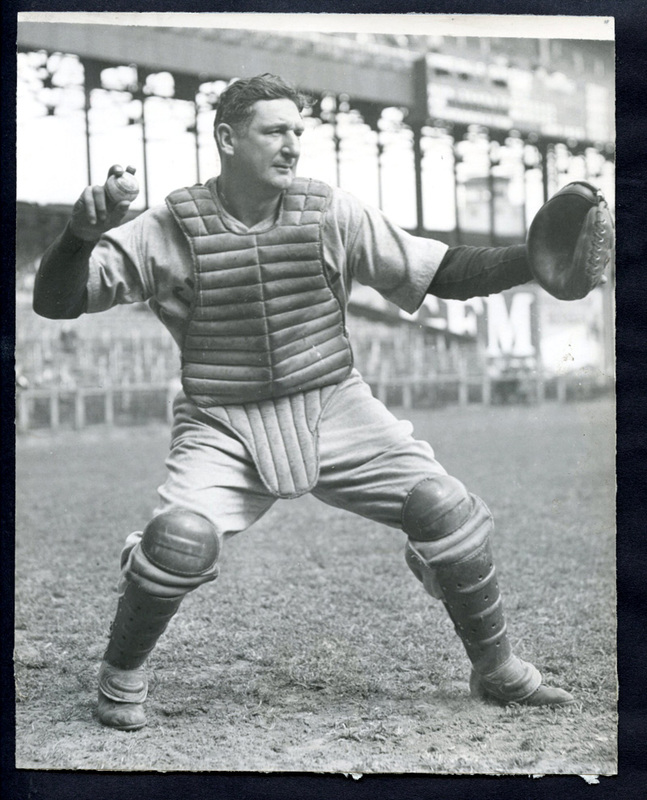 Bubbles Hargrave was another catcher who led his league in batting average. The Dodgers didn't sign Lombardi for $50,000. His highest known salary was $18,000 in 1941. The $50,000 would be the amount Brooklyn gave Oakland for Lombardi's contract.